Lead trauma surgeon and MST Ambassador, Mr Martin Griffiths, has been commissioned by The Lord-Lieutenant of Greater London, Sir Kenneth Olisa OBE. Martin is a consultant vascular and trauma surgeon at the Royal London Hospital and is well regarded for his inspiring and passionate work on violence and young people in young people. For the past 15 years he has worked with a case support team to prevent injury. They work with victims to unravel the complex social reasons behind knife crime, offering holistic support to help prevent further harm. The Lord-Lieutenant is Her Majesty’s Representative in a ceremonial county, who is charged with a number of responsibilities. Their role is to uphold the dignity of the Crown and to follow the example of The Queen by improving the well-being of Londoners. Deputy Lieutenants are appointed by the Lord-Lieutenant, at his discretion, to assist him in his duties. 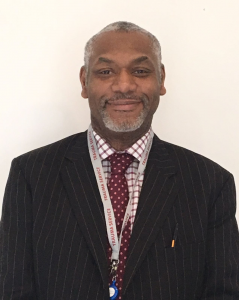 As a Deputy Lieutenant, Martin will assist the Lord-Lieutenant in supporting the Royal Family, while promoting civic, commercial, voluntary and social activities within Greater London. He will help to connect individuals, organisations and social networks to enhance Londoners’ sense of belonging and increase social inclusion within the capital.